Explore partnerships we have developed with local universities and let’s talk about how your university might benefit. 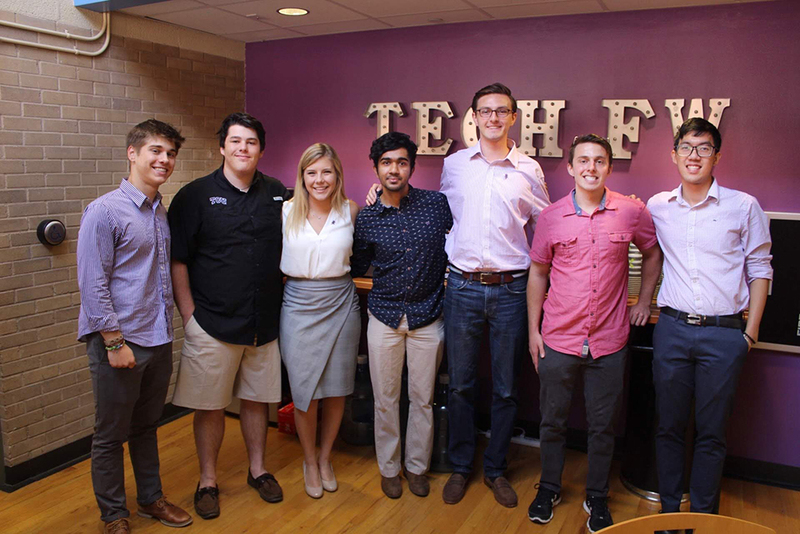 The TCU – TechFW Intern Scholars Program enters its 9th year of partnership between the Neeley Entrepreneurship Center and TechFW. Through the generosity of donors undergraduate business students are matched with TechFW Acceleration clients to complete a 200 hour summer internship inside a startup technology company. Students apply and are awarded grants from the Neeley Institute For Entrepreneurship and Innovation to work with these firms and receive valuable experience. The Cowtown Fellows Program is a highly coveted opportunity for TCU Students. TCU students, both MBA and undergrads, work with Cowtown Angels, an angel investment group that is a program of TechFW. They participate at every level of the program from observing the initial entrepreneurs investor pitches through funding for those startups that make the cut. In the process they learn first hand what qualities investors seek in funding early stage startups, the “deep dive” questioning and the due diligence that go into the successful funding of a startup. This is an amazing opportunity for TCU students to see entrepreneurial finance and angel investing up close. The UTA EpICMavs DeepDive is a hands-on workshop held at the Startup Lounge that helps entrepreneurs translate business ideas into real companies. During the weekly workshop sessions, entrepreneurs get help and guidance on their companies from experienced mentors. Topics range from business canvas model development, customer discovery, finances, to market strategy and sales concepts. UTA has partnered with TechFW to put together a week long camp for kids grade 8-12 to learn more about entrepreneurship. They are introduced to product development, developing a business plan, and basic business principles. 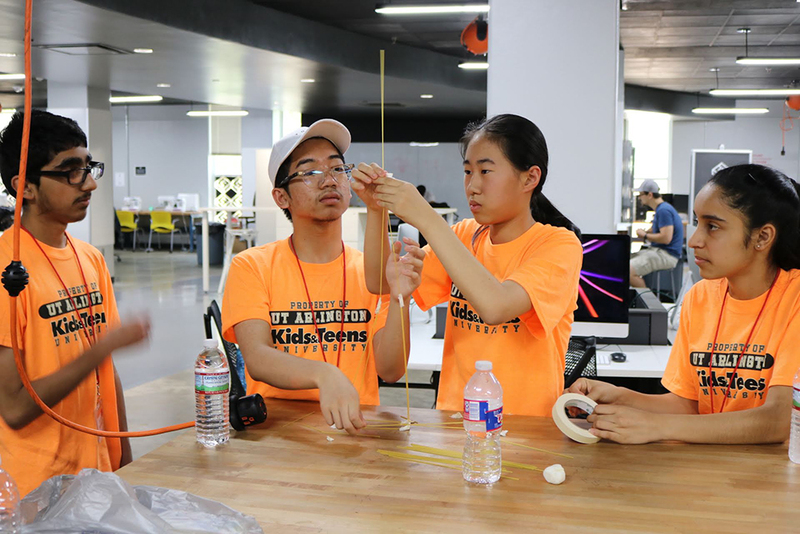 The kids get to work and learn at the Startup Lounge and even get a chance to utilize the innovative equipment at the UTA FabLab. 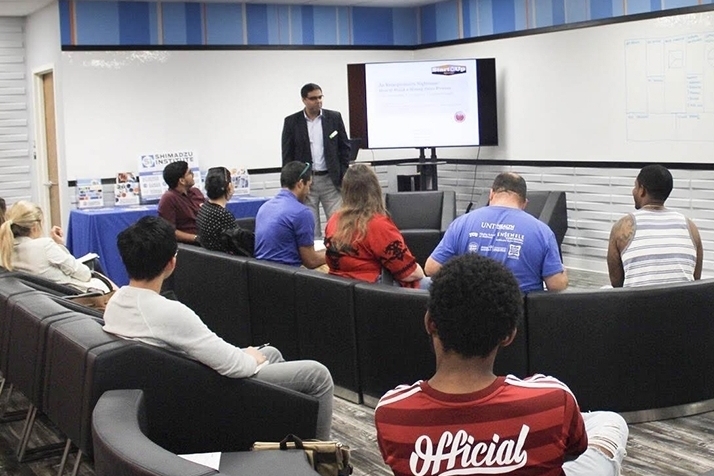 The Office of Technology Management at UTA serves its internal and external clients through education and collaboration, while creating opportunities for entrepreneurs to have access to UTA technologies and innovations. The partnership with TechFW provides UTA faculty, research teams, and entrepreneurs a pathway to the North Texas entrepreneurial community. The Startup Lounge is a collision space for entrepreneurs on and off UTA campus. We provide entrepreneurial resources including seminar series and working/meeting spaces. The Startup Lounge is no-man’s land, first-name basis only. No matter where you are in your life, everyone is equal at Startup Lounge. The partnership between UNTHSC and TechFW has granted clients of TechFW access to six wet labs and other resources at the university to leverage their development of new medical devices, novel discovery tools for health and pharmaceutical research and other life science innovations.